Forensic Nurses provide healthcare to those incarcerated in the criminal justice system in a variety of settings such as jails, prisons, and juvenile detention centers. 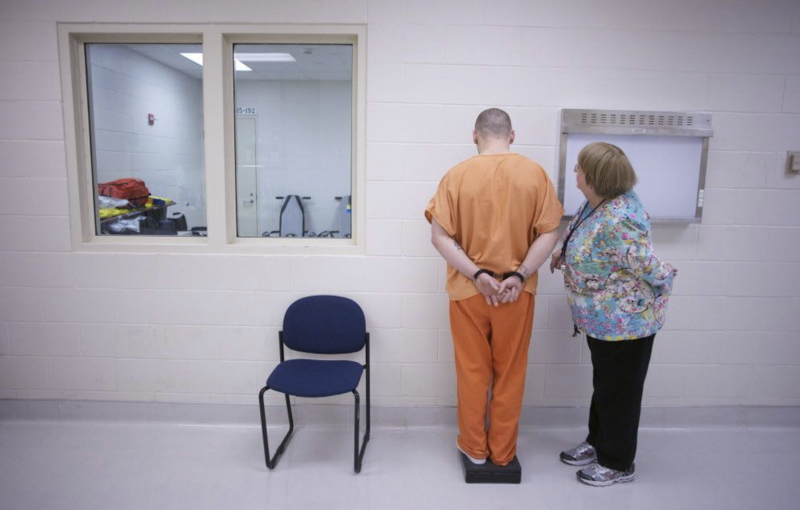 Many Correctional Nurses feel safer in this environment than working in traditional settings where security may be less vigilant. More infectious disease, especially HIV, Hepatitis C, sexually transmitted disease, and tuberculosis are found in this patient population. Increased risk of suicide is found in this patient population as compared to the general population. This is a concern in any stage of the incarceration but especially of concern at entry into the jail and after sentencing when hopelessness, shame, and guilt are at their highest. Although graduate Nurses have been successful in assimilating into the role of Correctional Forensic Nurse, the autonomous nature of the role and need for excellent assessment skills warrants experience in general Nursing practice before entry into the specialty. In particular, a background in emergency and/or mental health Nursing is helpful. Currently, certification is not required to enter a position as a Correctional Forensic Nurse, however, certification is available through the National Commission on Correctional Health Care (NCCHC) and the American Correctional Association (ACA). Are you a Correctional Forensic Nurse? If so, what do you believe Nurses should know before considering this specialty? Please comment below!